Here’s a cool new product that will make it easier to stow and/or transport your precious cleaning rods. Sure you can tuck a single rod in a gun case, but what if you want to carry a variety of rods to the range? 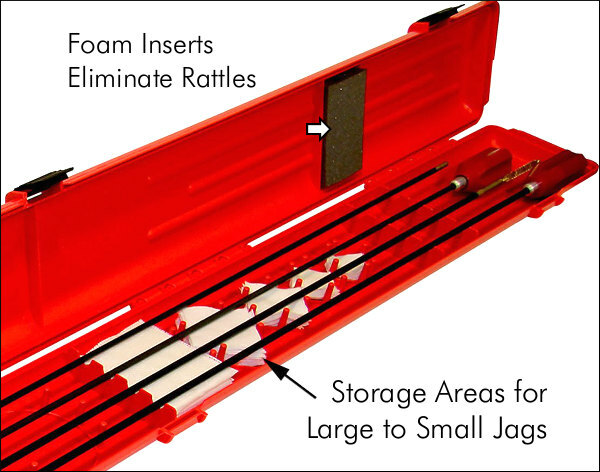 This case holds up to four (4) rods securely, and keeps solvent residues off your fine firearms. 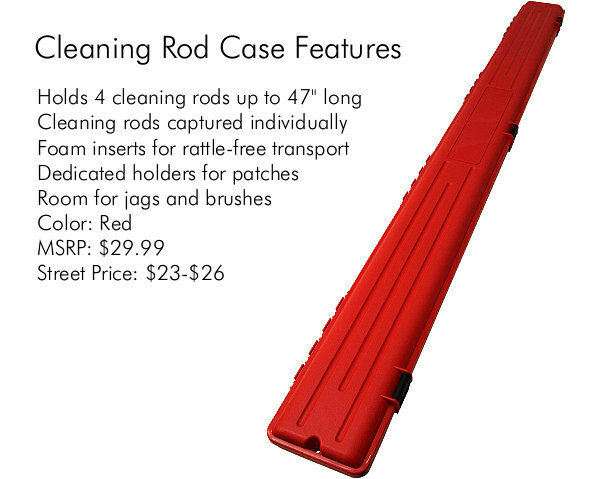 MTM’s new Gun Cleaning Rod Case is capable of storing four rifle or shotgun cleaning rods up to 47″ long. Each rod is held in an individual slot and there are foam inserts on either end, making transportation secure and rattle-free. You don’t have to worry about the rods banging into each other. We like the fact that MTM has cleverly included multi-sized “corrals” to hold patches from large to small. Plus there is plenty of room to hold jags and brushes. 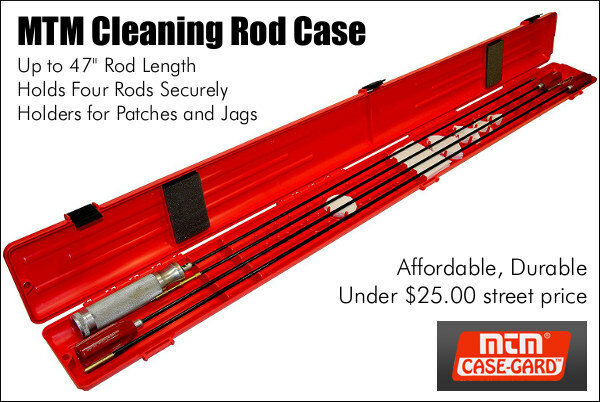 Share the post "Gear Spotlight: New Gun Cleaning Rod Case from MTM"